It's been a while since I've had any liturgical projects going, so it's really nice to be working on two at the same time. 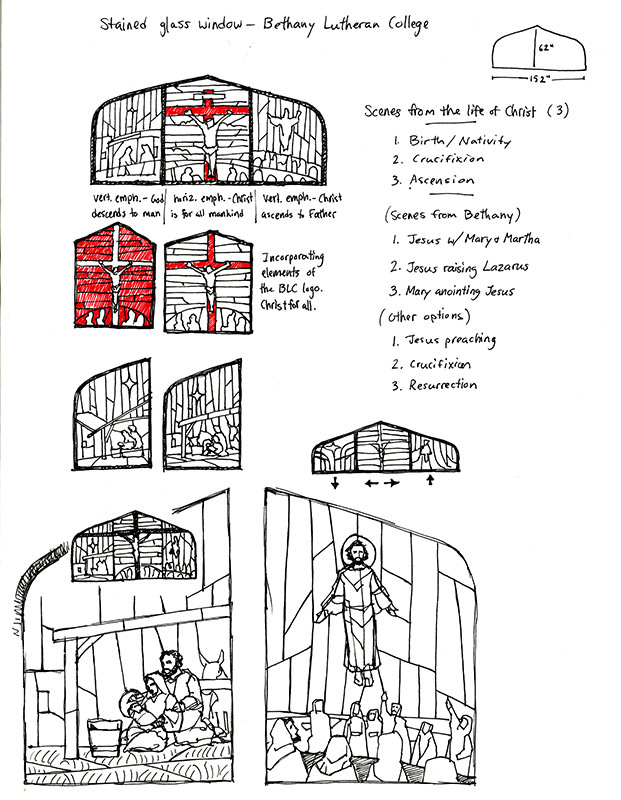 Here are some preliminary sketches for a stained glass window, to be installed at Bethany Lutheran College. 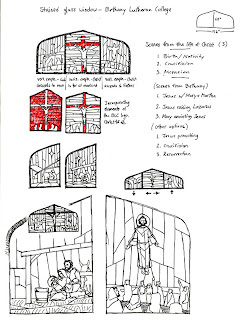 The design is still somewhat fluid, but the first change was to substitute the Ascension with the Resurrection. I liked the idea of making Jesus' Nativity (descending to earth) and Ascension as bookends, with the Crucifixion in the center. But the horizontal shape of the side windows was not ideal for the Ascension. I also did a digital color study. The last step will be to finalize the sketch, resolve the colors (probably in another digital version), and produce the cartoon for the window.